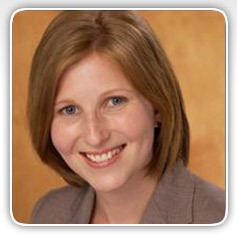 Laura Sherbin is a Vice President at the Center for Work-Life Policy (CWLP), a nonprofit think tank based in New York. She is an economist specializing in work-life issues, gender and economic development. At CWLP she is lead researcher for major projects including “The Athena Factor,” “Women in Tech in the Financial Sector,” “Bookend Generations: Leveraging Talent and Finding Common Ground,” and “Managing Top Talent in the Global Arena: The BRIC Experience.” She has pioneered the use of CWLP’s proprietary research tool – Virtual Strategy Sessions. Dr. Sherbin is coauthor of the Harvard Business Review Research Report entitled The Athena Factor: Reversing the Brain Drain in Science, Engineering, and Technology (June 2008), of The Under-Leveraged Talent Pool: Women Technologists on Wall Street (December 2008) and “How Gen Y and Boomers Will Reshape Your Agenda” (Harvard Business Review, July 2009). Dr. Sherbin is also an adjunct professor at the School of International and Public Affairs at Columbia University teaching a course on Women and Globalization. Prior to joining CWLP, Dr. Sherbin was a visiting research fellow at Catalyst. She is a graduate of the University of Delaware and earned her PhD in economics from American University.